A Chance to Stop Amerige Court? UPDATE, 1/22: According to the city staff at the council meeting last night, the Amerige Court properties were already conveyed to the Successor Agency in a previous meeting. More about this terrible project in a future post. On the City Council’s agenda for Tuesday, January 21 is a consent calendar item to allow the City of Fullerton to convey some $ 19 million dollars in property and other assets to what is now known as the Successor Agency. 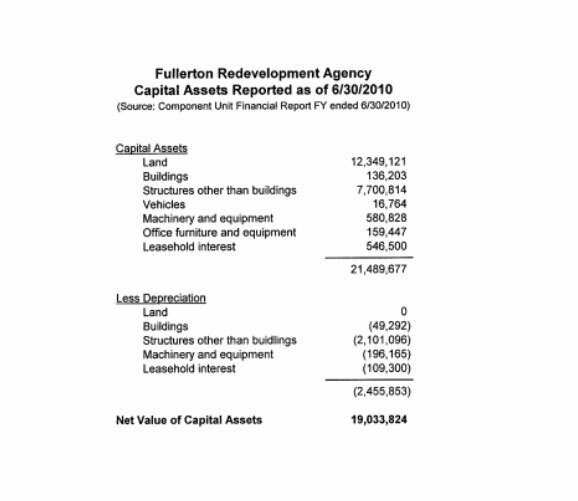 The Successor Agency succeeds the Fullerton Redevelopment Agency (RDA), made extinct with all of California’s redevelopment agencies by Jerry Brown and the legislature in 2012 in an effort to balance the state’s budget. A million here, a million there…you don’t need the details, do you? Unless I am mistaken, two of the properties are the parking lots on either side of the 100 block of West Amerige downtown, future site of the horrible Amerige Court. Amerige Court was dreamed up some time in the last decade as a way to give away public land to a developer of cheap looking retail/housing projects in exchange for more parking, except that it has morphed so many times that pretty much everyone admits that it won’t add any extra parking now, just soak up the land between the historic downtown storefronts with another gigantic fake brick extravaganza. It’s been on the books for so long that it’s been granted something like seven (!) 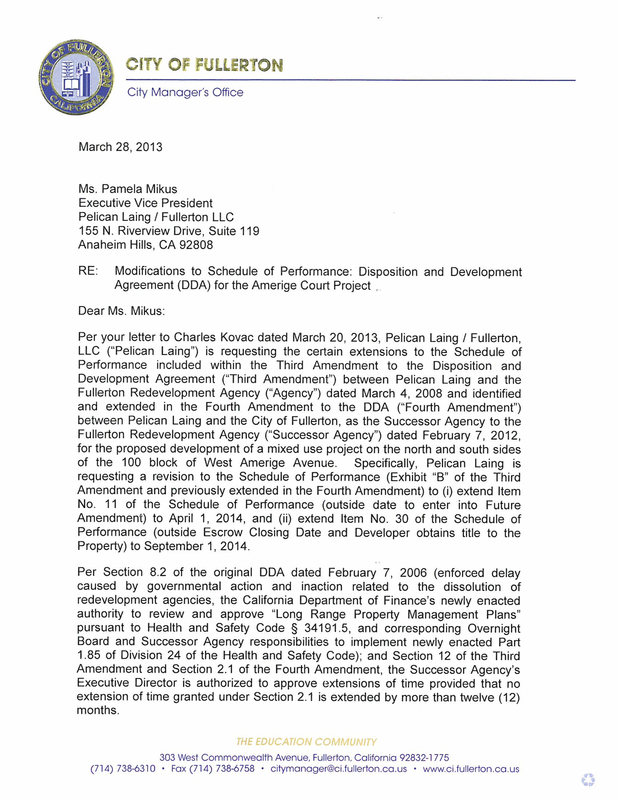 extensions to allow the developer, Pelican/Laing, to try to finally find financing to actually build the awful thing. It used to be claimed that nice people moving into Amerige Court would drive out the drunks somehow, but the last extension allowed the developer to rent out units, abandoning all rationale for the project in the first place. Years ago I was told that one way to stop it was to wait for the unlikely event of the city somehow taking back the land from the RDA, then giving it back. That seemed like a very remote possibility back then, but now it appears to be happening. If you don’t want your downtown dwarfed by this pile, then ask the City Council to just leave it off the list tomorrow night. Just try to follow this story. Judith Kaluzny, perhaps enjoying the park she saved from having a road built through it. Attorney, mediator, and journalist Judith Kaluzny has debuted her blog recounting her experiences as an activist in Fullerton. The first entry on My Fullerton History touches on her role in establishing the Community Open School at the Maple School site in the early 1970’s. We look forward to reading more stories about the history of Fullerton through one the city’s most dedicated and insightful longtime residents.